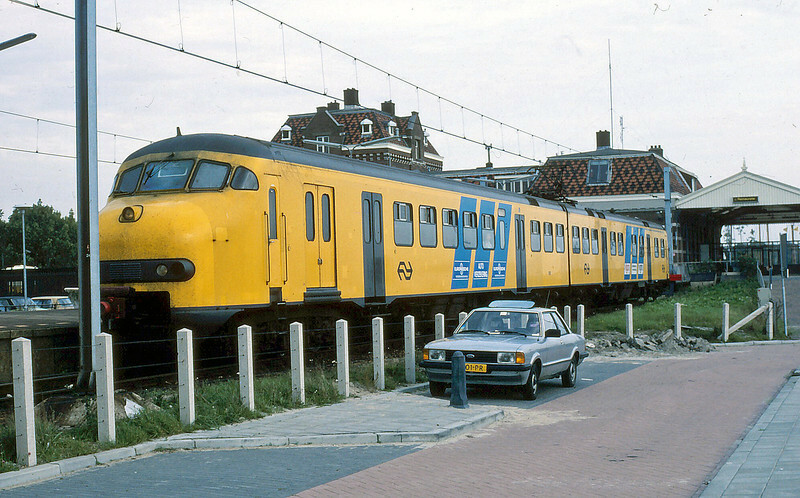 Nederlandse Spoorwegan Mat 64 Plan V, two car EMU at the terminus of Enkhuizen in North Holland. Enkhuizen once fronted the North Sea, but is now an inland port on the Ijsselmeer. 29th September 1982.